If you are looking for the above-listed addition or want to make your living room look less crowded, a glass coffee table can free up a lot of visual space with the help of see-through design. 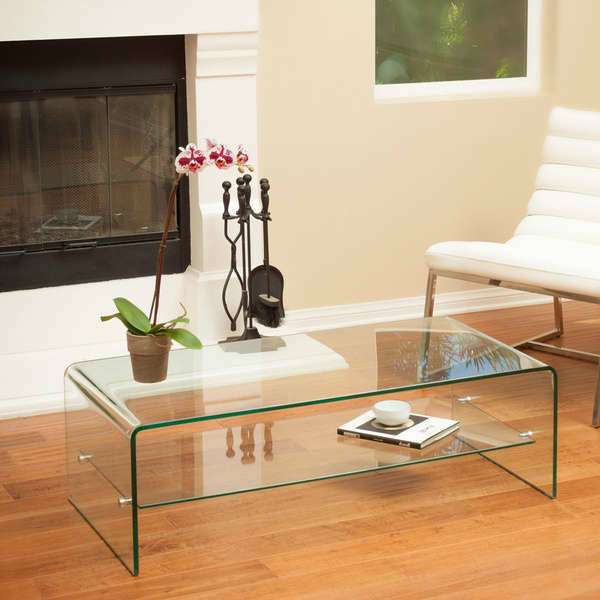 Sleek and modern, the glass coffee tables work well with a lot of decor options. We have today compiled a list of 10 tables that will comfortably fit well with a number of budget and style choices. This round top table with a brushed-gold finish to the frame will make up as an impressive gathering spot at the home. Pair the table with some chic accent seating for making the area comfortable for the guests. This edgy and heavyweight design carries an airy and artful look. The hardwood base is supported with a curved triangular surface that gives a modern day twist to the standard round table. 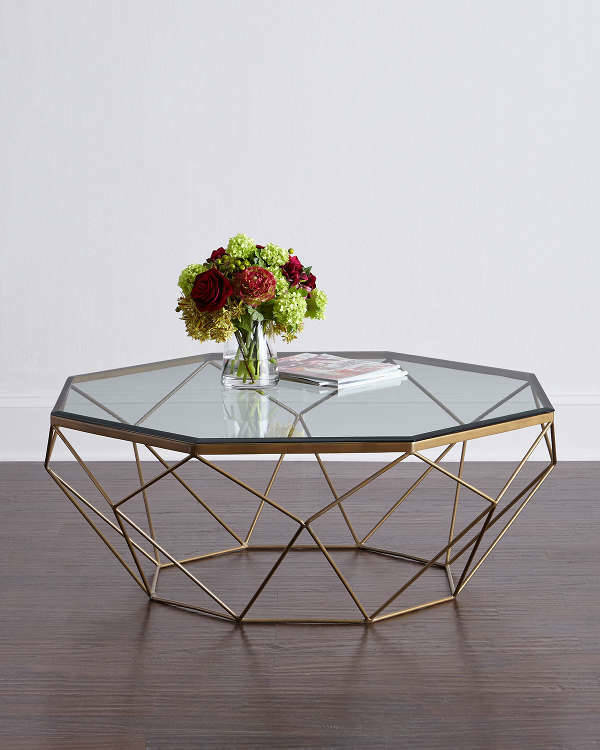 This bronze-colored iron pick coffee table has a unique, geometric structure an octagonal surface that will certainly set your place apart. 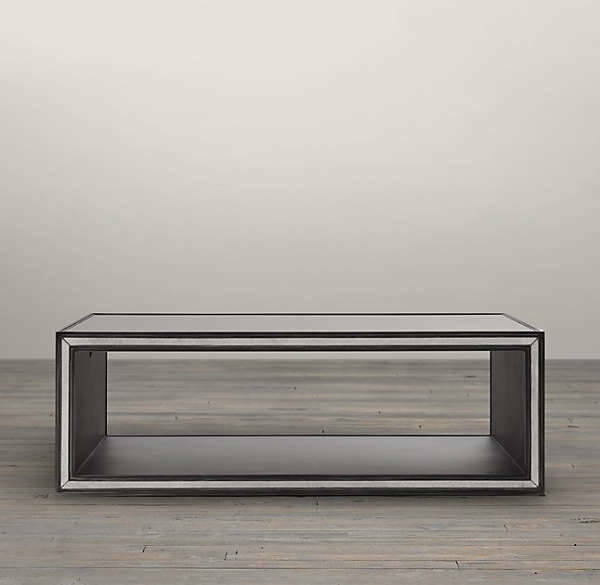 Elegant and unique, the coffee table will definitely act as a furniture jewel of your living room. 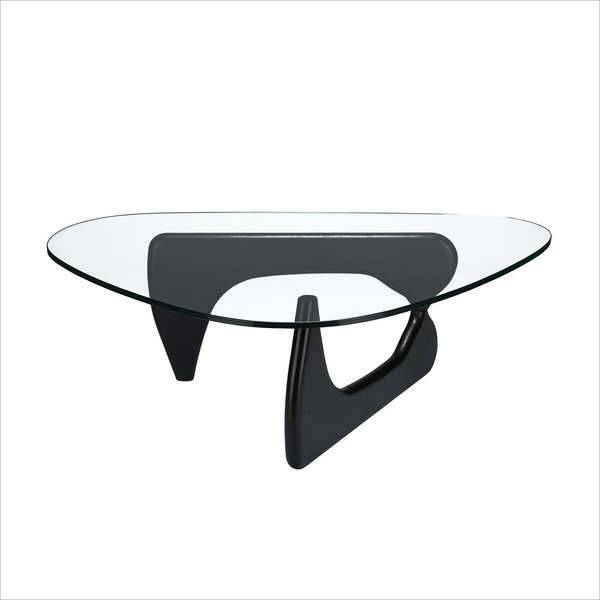 This curved glass coffee table carries a mix of eras that is the best fit for the eclectic homes. 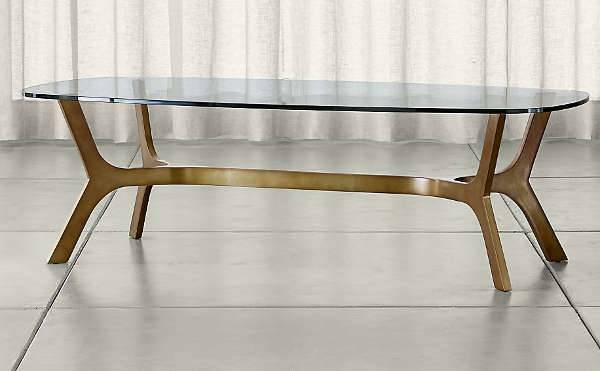 Compact and functional, the table is transparent as well as elegant in its appearance. The simple design makes it perfect to complement and accessorize with varied styles of decor. 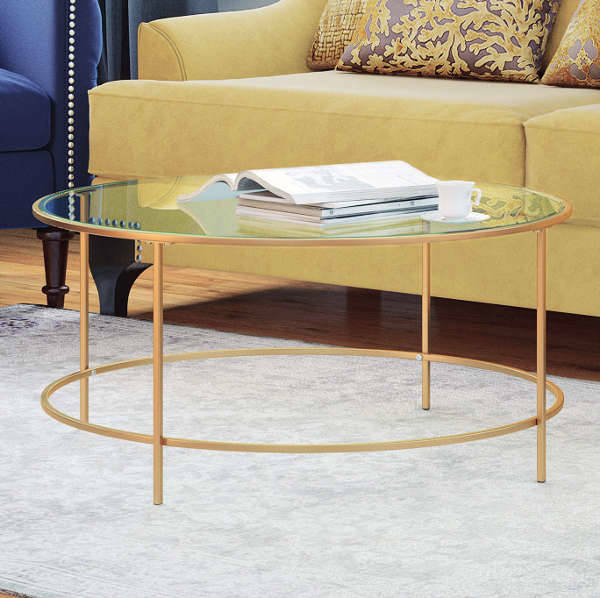 This Crate & Barrel glass coffee table features an oval glass top and wishbone-shaped frame in an antiqued-brass finish. The unconventional look of the table can easily elevate the look of the entire living room. 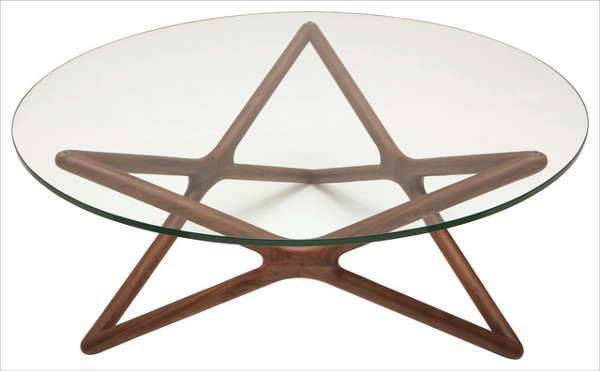 This coffee table features a star-shaped American walnut base with a tempered glass top. The unique shape of the table can surely garner you a lot of admiration from the guests. The walnut finish makes the design contemporary as well as warm. 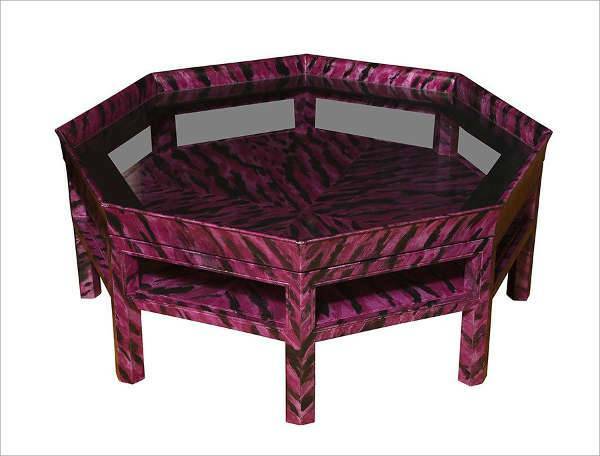 The handpainted tortoise shell finish matched with the classic octagonal shape and an inset glass top makes this coffee table a grand statement piece for any room. If ever you tried to play a giant game of Jenga then the base of this coffee table is the best and the most complex setup you could ever achieve. With a round glass top, each base is randomly placed making the order one of a kind. 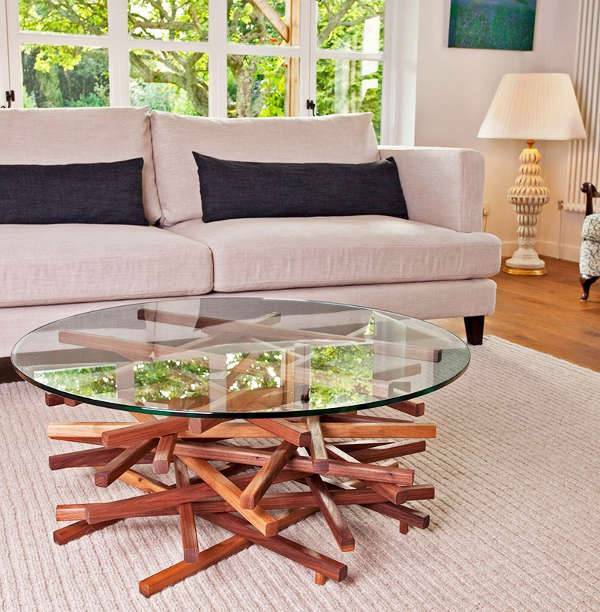 The antique finish of the table frosts the mirrored surface of this striking coffee table. Finally, the pearly lustre brings an edge of glam and sophistication to the coffee table. 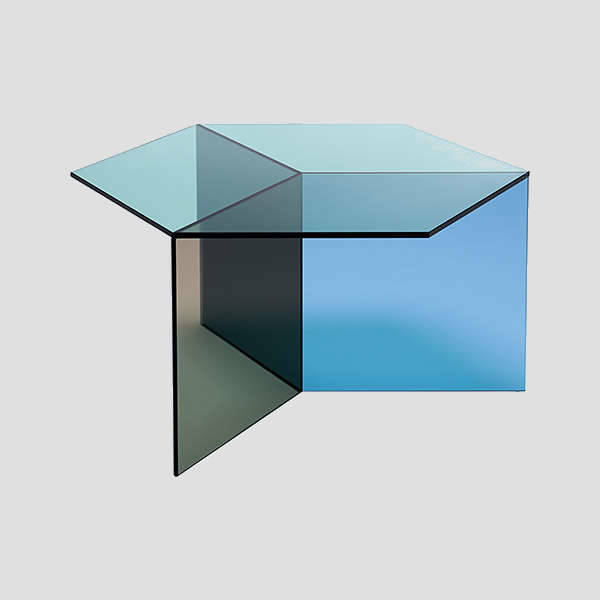 Looking from certain angles, the translucent geometry of the Isom table gives the view of isometric cubes. The effect is created through an innovative glass cutting process which provides an optical illusion to this sleek piece of furniture. Take your pick from the above-listed designs and bring a sleek and contemporary upgrade to your living space.